Stratolaunch systems continue to progress towards their first launch by completing the first hot-fire tests of the PGA engine preburner. This milestone marks the beginning of development for Stratolaunch’s in-house rockets that are planned to air launch from their massive carrier aircraft. The tests are being conducted at NASA’s Stennis Space Center in Mississippi earlier this month. 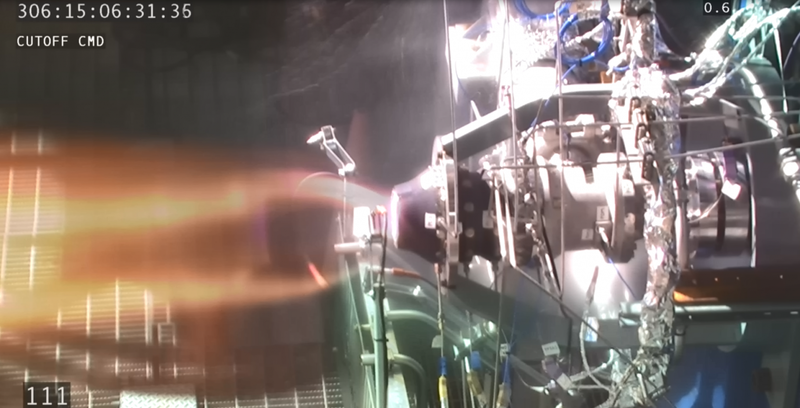 The full-scale preburner has been tested up to 70 percent power so far, and will be tested further in the coming months, including increases in both duration and power levels. Powered by liquid hydrogen and liquid oxygen, the engine will efficiently deliver 200,000 pounds of thrust. The Stratolaunch propulsion team made additive manufacturing a priority in order to enable this rapid timeline. The preburner is manufactured using 100 percent additive processes. The company was founded in 2011 by the late co-founder of Microsoft Paul Allen with plans for a new air launch system. Since founding, progress has been evident in the incremental testing of the carrier aircraft on the ground. First, the aircraft was brought out of the hangar for the first time to test fuel systems. Engine testing followed, then low speed taxi tests. As of October, the Stratolaunch aircraft has completed medium speed taxi tests as fast as 70 knots. The company has not yet announced a target date for the first test flight. The Stratolaunch carrier aircraft is the largest aircraft in the world by wingspan and is powered by six jet engines from Boeing 747 airliners. Stratolaunch will release each launch vehicle at an altitude of 35,000 feet. The vehicle will then pitch upwards to climb above the rest of Earth’s atmosphere while gaining enough horizontal velocity to achieve orbit. Stratolaunch is planned to operate primarily from Mojave Air and Space Port, the same spaceport as Virgin Galactic and Virgin Orbit, but can conduct operations elsewhere to reach any orbit desired. Initial plans called for a large carrier aircraft to air launch a heavily modified SpaceX Falcon 5 rocket. The carrier aircraft was built by Scaled Composites, known also for SpaceShipOne, the spaceplane that completed the first private crewed spaceflight, and Virgin Galactic’s White Knight Two carrier plane used to launch SpaceShipTwo spacecraft. The rocket to be used for initial missions is now Northrop Grumman’s Pegasus rocket, which has successfully completed 38 launches to date. 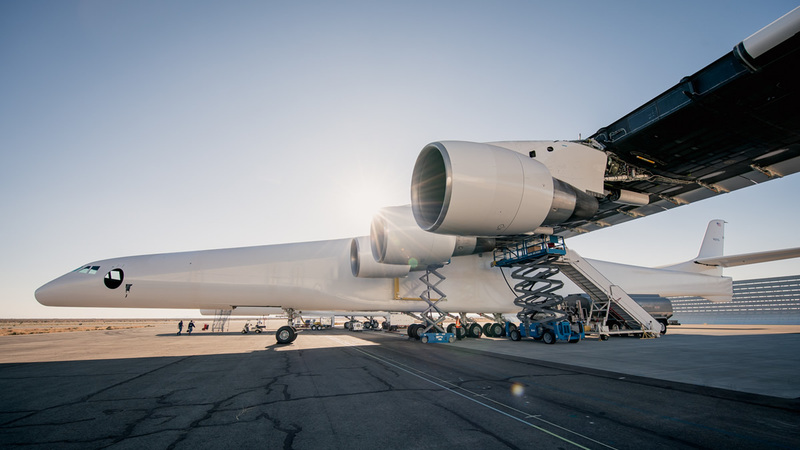 Northrop Grumman currently launches Pegasus from a Lockheed L-1011 airliner, and now plans to launch up to three Pegasus rockets during a single flight aboard Stratolaunch’s carrier aircraft. This also means missions to multiple inclinations can be launched in a single flight. The rocket motors for two Pegasus vehicles arrived at Vandenberg Air Force Base earlier this year. Pegasus offers only 370 kg of payload to low Earth orbit, putting Pegasus in the same class as Rocket Lab’s vertically launched Electron rocket, as well as Virgin Orbit’s air-launched LauncherOne, in development. 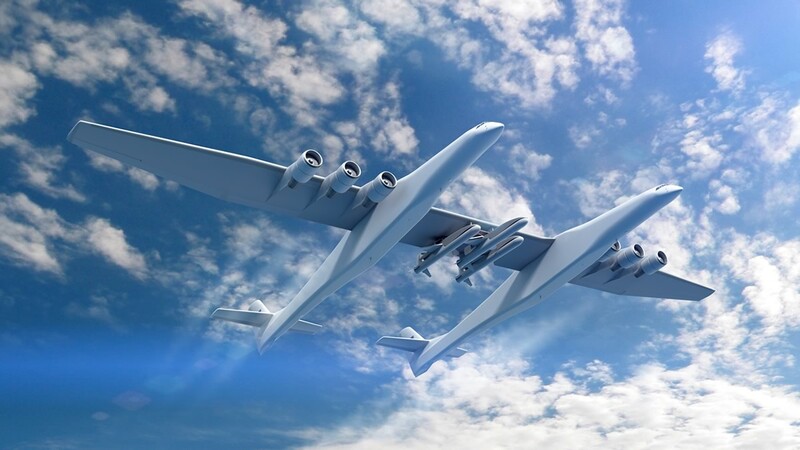 Starting in 2022, Stratolaunch plans to utilize their in-house Medium Launch Vehicle (MLV). The PGA powered MLV offers 3,400 kg to Low Earth Orbit. A tri-core version, the MLV Heavy, will offer up to 6,000 kg to LEO. These vehicles would be in the small to medium lift class, outlifting Northrop Grumman’s Minotaur-C and Arianespace’s Vega launchers. 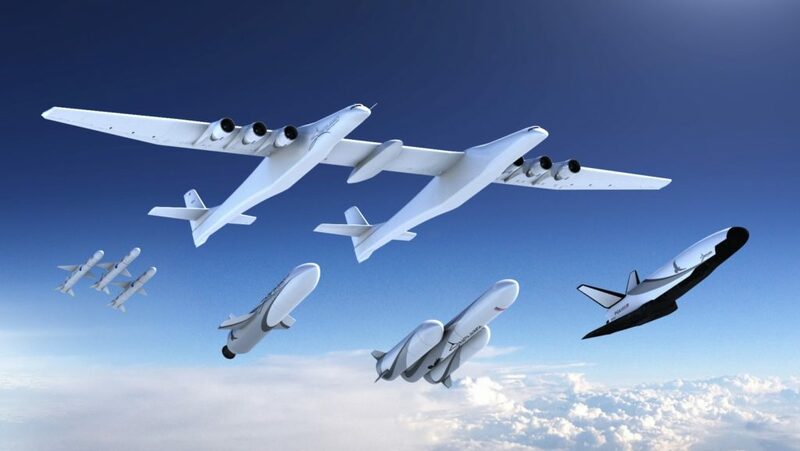 Stratolaunch is also studying the possibility of launching a reusable space plane that would initially launch cargo, followed by launching crew to orbit. This concept does not yet have an expected payload capacity or launch date.